A few links that you may find useful and a few others we find of interest. Shields Up! - An online port scanning service created by Steve Gibson of Gibson Research Corporation and hosted at grc.com. The purpose of this utility is to alert the users of any ports that have been opened through their firewalls or through their NAT routers. Very useful for finding any security vulnerabilities your network may have to the outside world. Check IP - Useful site which displays the IP address of your network as seen by the outside world. Avast! - A free version of Avast! anti-virus for the home user. Over a 100 million users can't be wrong. AVG - Another decent anti-virus package which is free for personal use. Avira - Yet another free anti-virus package. With all these freely availble AV packages there is really no excuse to leave your system unprotected yet at the same time no need to pay for expensive subscriptions. Ad-Aware - A free for personal use anti-spyware and anti-virus program developed by Lavasoft, which detects and removes malware, spyware and adware. Malwarebytes' Anti-Malware - A free version of this software is available from their website which detects and removes even the most advanced malware. Mozilla Firefox - A recommended alternative browser to Microsoft's Internet Explorer (IE). A faster, more secure and fully customisable way to search the web. Currently second place behind IE in worldwide browser usage. Google Chrome - Another recommended alternative browser to Microsoft's Internet Explorer. This one currently holds third place in worldwide browser usage. OpenOffice - A free open-source office suite which is still compatible with Microsoft Office. Bug-Me-Not - A site which allows you to bypass compulsory registration for many popular websites thus cutting back on unwanted junk mail whilst also saving you time. Bypass Facebook Fan Pages - This site allows you to see the hidden content of many facebook fan pages without having to click "Like" and share your details with potential cyber-criminals, spammers and other tech-savy undesirables. Simply copy and paste the title of the hidden Facebook page into the search facility. ZoneAlarm - Free firewall software for the home user which protects against both inbound and outbound attacks whilst making you invisible to hackers. Useful for anyone with older Operating Systems or as an alternative to Microsoft's current offering. Techspot - Updated on a daily basis with news from the technology and computer industry, Techspot is a must read for any computer enthusiast, gamer or IT Professional. The site is also well known for offering many useful system optimisation tips within its guides section. BLORGE - A technology news site which covers general technology and science, Windows, Macintosh, iPhone and Touch, IPad, Tablets, gaming, photography, and buying guides. Snapfiles - A trustworthy source containing some of the best freeware software titles available on the web. Before paying out for expensive commercially available software, we suggest you try Snapfiles. They usually have something that does what you are looking for and it's free. Computer & PC Hardware Suppliers Directory - List of UK computer hardware suppliers. 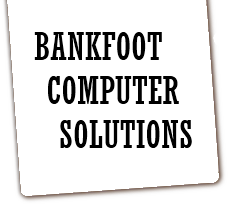 Disclaimer - Bankfoot Computer Solutions have provided the above links for your convenience only. 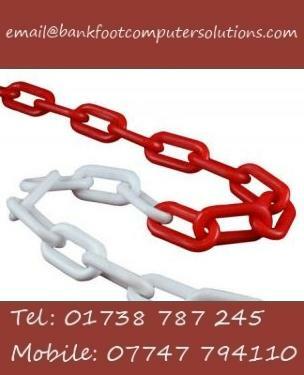 We do not however endorse these sites or products and cannot be held responsible for any damages you may do to your system or any losses you may incur by using any of the tools or links provided. Please do not use these tools if you are unsure as to what you are doing.